Our speciality is in constructing, fitting and maintaining dentures to optimise for comfort and aesthetics. We are committed to crafting the perfect denture for you. Each denture is handcrafted and made especially to suit your needs and desires in achieving the perfect smile and having the utmost comfort. We deal in all types of dentures including full dentures and various types of partial dentures: acrylic, chrome/metal and flexible dentures. In most cases a repair on an exisiting denture can go a long way! Whether it be a missing tooth or clasp, or even wear and tear, we can help. Are your dentures not fitting like they used to? Then you’re due for a reline. The gum changes shape and shrinks over time. A reline involves adding more materials to the underside of your denture to ensure a perfect fit. 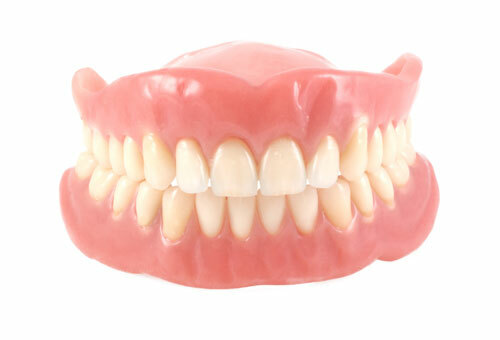 Dentures change with time and are subject to wear and tear. While cleaning everyday at home is correct and important, it cannot prevent deposits forming and spreading, and subsequently affecting your health. 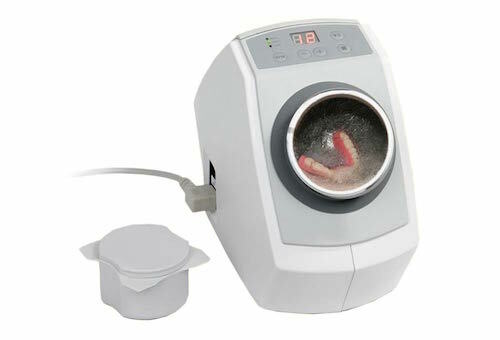 Our professional denture cleaning removes any plaque, tartar and stains that may have accumulated over time. It’s an inexpensive way to rejuvenate your smile! In sports, kids and adults alike are exposed to rough contact and occasionally accidents happen where a tooth gets knocked out or chipped. 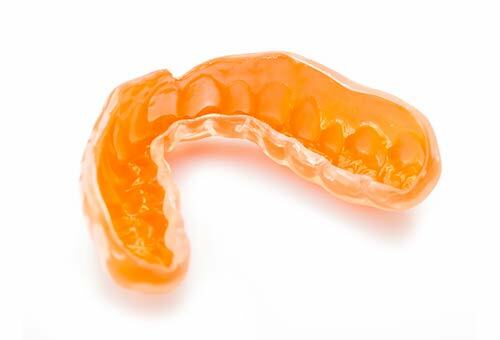 Off-the-shelf mouthguards provide inadequate protection and are uncomfortable. Our custom made mouthguards are designed to absorb the maximum impact all while being comfortable and individualised to express yourself. We understand that paying for new dentures can be strenuous. 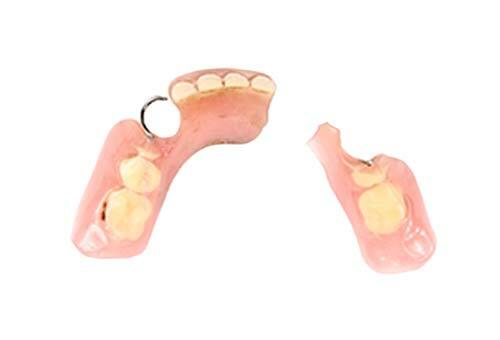 We’ve made our reasonably priced dentures available on interest free payment plans at no additional cost to you. Improved health and quality of life is now accessible to anyone.  All of our dentures and services are made by our on-site dental lab that has over 25 years of experience. No work is outsourced overseas or sent off-site. Our materials are all acquired from top Australian dental suppliers and comply with strict government regulations. We offer a free consultation with our Dental Prosthetist to assess which denture type is best for you, if any! There are no charges and no obligations. Call us today to book! All of our instruments undergo a rigorous sterilisation process in our dedicated steri-room to ensure your safety and wellbeing. We also step you through the correct procedures to clean, store and maintain your dentures. You’d be surprised how unhygienic some common habits are! Our Lead Dental Prosthetist, Dr. Elie Michel Fathallah, graduated his Advanced Diploma of Dental Prosthetics with a Distinction and was the recipient of a number of industry awards. The Australian Dental Prosthetists Association (ADPA) awarded Elie the Phill Harris Award for Excellence for demonstrating exceptional work ethics and quality in his work. Elie was also the recipient of the Excellence Award for Health Industry Achievement in 2015 recognising not only the outstanding efforts in academic excellence, but also personal, workplace and community achievements. Thanks to HICAPS, we also offer on-the-spot claims for all the following major funds to make your dentures even more affordable. We are also recognised by Department of Veterans’ Affairs (DVA) and NSW Health OHFFSS.